And the race for the highest priced finished marble products is on!! 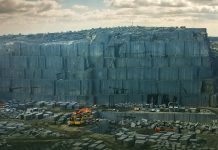 Which was the country that exported with the highest price per tonne in 2017? 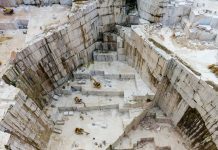 Stonenews.eu, after studying the statistical results of the International Trade Centre and the National Statistical Institutes, is presenting the top six finished marble exporting countries based on price per tonne in 2017. The data presented are about products under HS Codes 680221* and 680291**. 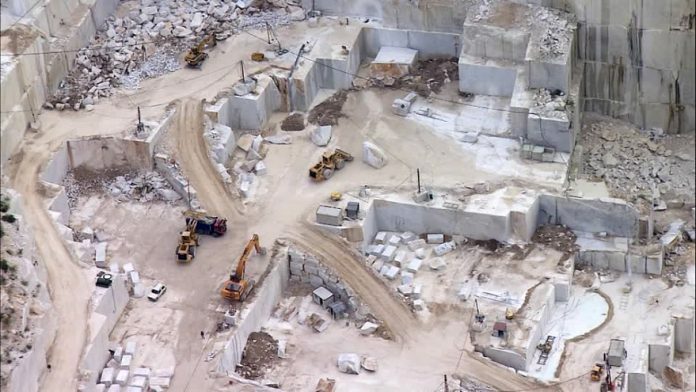 According to statistical reports, the countries with the greatest finished marble exports under HS Code 680221 in 2017 were Turkey, Oman, Egypt, Italy, Greece and India. Moreover, exports destinations under HS Code 680291 were Turkey, China, Italy, Spain, U.S.A and Iran. 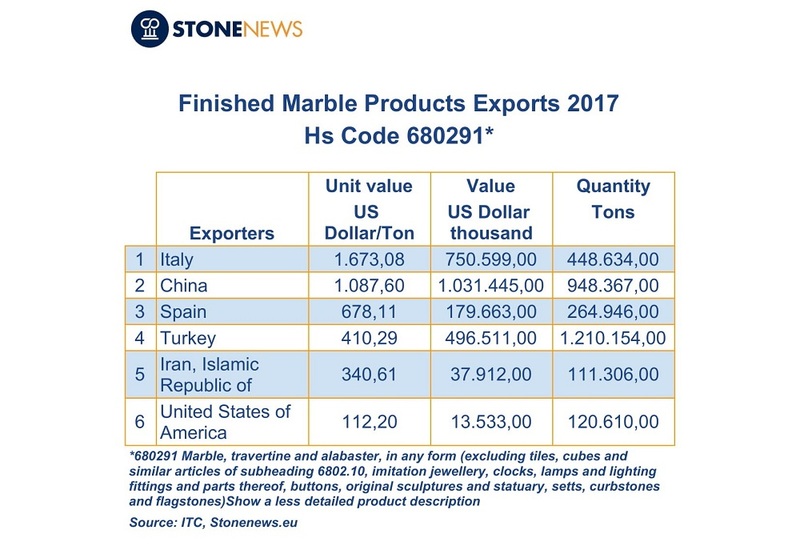 The following tables show the countries ranking according to the highest price per ton of finished marble products exports in 2017. 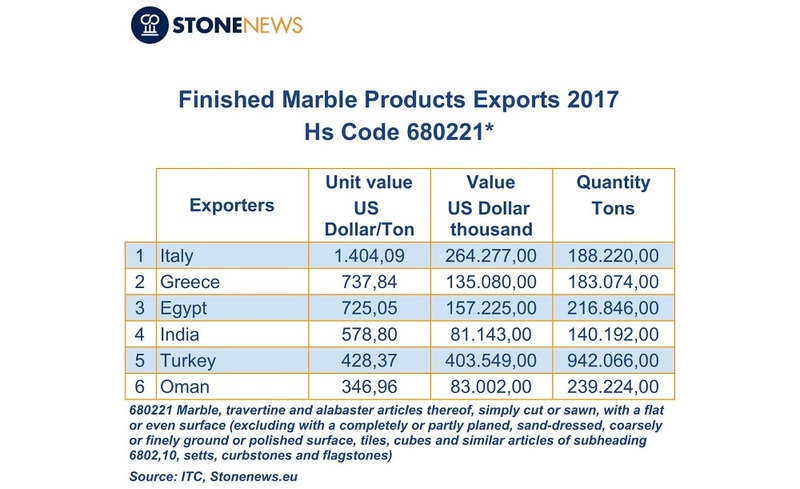 As shown at the tables, Italy is on top having achieved the highest price for finished marble products at both HS Code categories, while Turkey comes first in total exports. It is worth saying though that as for total exports under both HS Codes 680221 and 680291 in 2017, China is the second largest exporter after Turkey with really high price per ton. 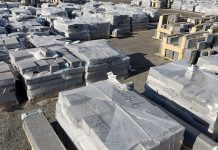 More specifically, China exported finished marble products under HS Code 680221 at $978.63 per ton while products under HS Code 680291 were exported at $1087.60 per ton.